Image above: First Public Lab Barnraising on Thatchmore Farm in Asheville, NC in Fall 2011. April 20th: BP Deepwater Horizon oil rig explodes. April 22nd: Oil explosion discovered; it flowed for 87 days and according to the US government, released over 4.9 million barrels of oil. May: Stewart Long, Mariko Toyoji and I traveled with a local fisherman to Chandeleur islands to snap aerial photos of the disaster, using a balloon with a camera attached by fishing line, a plastic bottle, and duct tape. The duct tape was quickly disfigured by the heat of the sun, but captured hundreds of images that were stitched together using MapKnitter, software created by Jeff Warren. The resulting map gave a shocking new perspective on the magnitude of the BP oil disaster. We were able to take detailed aerial images despite a no-fly zone order banning flights below 3,300 feet (except aircraft conducting aerial chemical dispersing operations). The no-fly zone, combined with a press blackout, made it extremely difficult for journalists to document the oil disaster from the air, boats, or even from public land. Despite the no-fly zone and the press blackout, the nascent Grassroots Mapping group photographed what was happening on the ground. We had a constant flow of passionate people leading teams of mappers from boats and beaches across Louisiana, Mississippi, Alabama, and Florida to capture images of the disaster via balloons flying at about 1,500 feet and lower (the closer to the ground, the more detail captured). 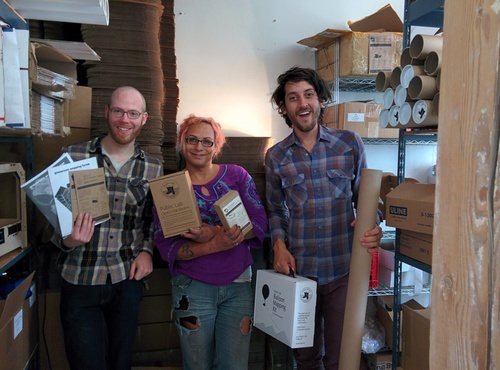 Local trip organizers and leaders included Kris Ansin, Leo Denton, Mariko Toyoji, Cesar Harada, and Becki Chall. June: Grassroots Mapping Kickstarter raises $8k for Balloon Kits As more and more Grassroots Mappers went out to photograph the disaster, individuals across the country unable to travel to the Gulf supported the mappers on the ground by responding to questions on the email list and using MapMill and MapKnitter to process images and turn them into maps. One of my favorite memories is opening a box sent by then-volunteer Mathew Lippincott, which contained odd materials for improving the camera rigging: a section of a garden hose and an old GPS unit. July 15: The oil release was plugged. 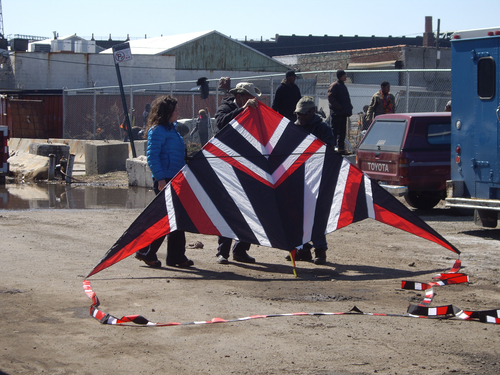 Stepping back from the Grassroots Mapping response, it was clear there was a broader need for tools like the balloon mapping kit and MapKnitter to address other environmental health crises that affect communities that are also politically, socially, and environmentally vulnerable. Summer: GrassrootsMapping.org transformed into Public Laboratory for Open Technology and Science (affectionately referred to as PLOTS, and Public Laboratory over the years and now Public Lab) as the founders–Adam Griffith, Mathew Lippincott, Stewart Long, Liz Barry, Jeff Warren, Sara Wylie, and I–decided to join forces and build a broader community science infrastructure. I will always remember a particularly arctic day in January 2011, when a dozen of us jumped into canoes and dug our paddles through a frozen Gowanus Canal. We were flying a balloon camera to search for unusual patterns of ice melts that would reveal illegal chemical dumps—and we found them. That day, our small crew were the only ones freezing our feet off, but by open sourcing our methods, we were supporting and were supported by some of the most heartfelt people across the internet–the global Public Lab community. From this initial canoe trip, groups in the Gowanus Canal have succeeded in improving the Superfund cleanup plan by diligently investigating the area, leading to the discovery of an unknown freshwater inflow to the Gowanus First Street Basin. Their presentation to the EPA’s Community Advisory Group was so effective that Superfund restoration expanded by an additional city block. Through vigilant aerial surveying, the subsequent analysis identified four active pipes and inflows that the EPA’s survey missed. All this community work is leading to real improvements in the clean-up plan. One memory that brings a smile to my face is the time we were out in the wetlands of Barataria Bay with Alex Kolker and Alex Ameen in a boat, balloon mapping the islands which were hit so hard by oil during the BP disaster. Adam Griffith dropped the anchor in so we could take a measurement of the shore eroding, but the end of the chain wasn’t tied, and the rope just ran out and plopped into the water as we watched in disbelief. After 40 minutes of searching the muddy bottom of the marsh, Adam surfaced with the anchor, and our bickering turned to relief. That was also the trip where we first prototyped a dual camera rig for infrared wetlands analysis. Summer: In 2011 we decided to launch Public Lab as a not-for-profit to help support the framework and infrastructure used by the global Public Lab community. Our very earliest large-scale support came from the John S. and James L. Knight Foundation through their Knight News Challenge program. The acceptance of this Challenge grant prompted the creation of our founding board of directors: Mikel Maron, Eymund Diegel and Dr. Christine Walley. On July 26, 2011, with the support of lawyer Bobbie King Jr., Public Lab filed papers incorporating the organization. 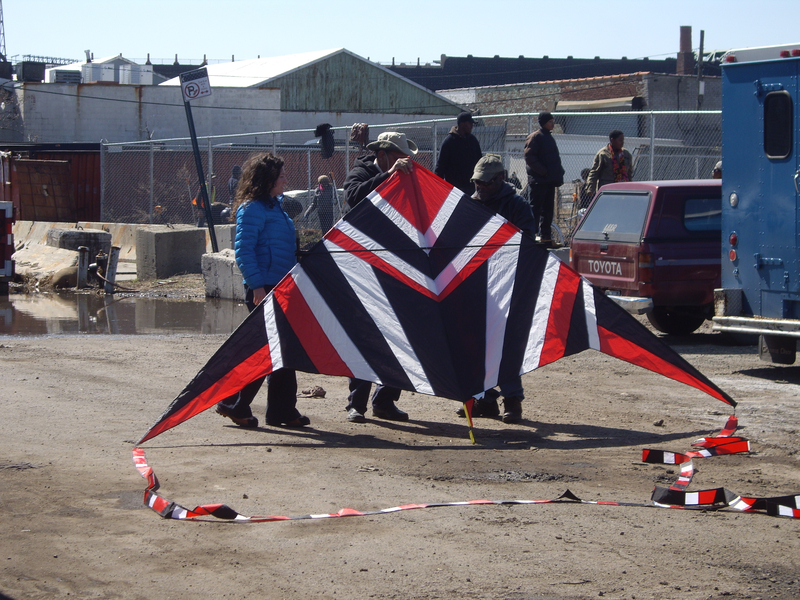 In 2011 we began to see a broader interest in using tools for projects such as aerial mapping education reform protests in Santiago, Chile and documenting contested spaces in Silwan, Palestine. The open community continued to grow, attracting community planners, activists, artists, social and natural scientists, and educators. Fall: We held the first Public Lab Barnraising in Asheville, North Carolina. The Barnraising has since become an institution within Public Lab. We piled into tents, sleeping bags, and the borrowed space of local nonprofit Riverlink to eat, sleep, and create collectively. Embedded in the design of these events is an “unconference” ethos, hosting each gathering at a location where we can build together and then try things out on-site, whether it’s a local farm, the wetlands of Louisiana, or a nuclear power plant in Massachusetts. To support the most active members of Public Lab, the Public Lab Organizers group was launched in April with sixteen (non-staff) members. Public Lab organizers are leaders in the Public Lab community and have a say in the way our community collaborates and grows. As of April 2015, we have over 60 organizers. 2012 was a big year for securing the financial viability of Public Lab. Building off the fundraising model we used to raise $8,000 for the mapping of the 2010 BP disaster, we launched an aerial mapping Kickstarter in January 2012 to propel the further development of a community of mappers and the “DIY aerial mapping toolkit.” Additionally, the idea for a program to sell DIY kits online was instituted at a small scale during the summer of 2012. April: 200 maps in the Public Lab archive demonstrated the global spread of our aerial mapping techniques. Thanks to a 2010 partnership with Google Earth Outreach, many of the public domain image sets created by Public Labbers began appearing on Google Earth as historical and primary layers. Summer: The model of the Barnraising was fully established as we made the Louisiana Universities Marine Consortium home for our annual gathering (as long as tropical storms and hurricanes weren’t forcing us elsewhere); for the second gathering we welcomed over thirty people to Cocodrie, two hours south of New Orleans. Only a couple weeks after the Barnraising, the Public Lab nonprofit welcomed Becki Chall, the first non-founding staff member, to lead development efforts. Fall saw the launch of a Kickstarter to support the DIY Spectrometry project, which exceeded expectations by raising over $110k and kicked into motion what has now become the Public Lab Kits Initiative. 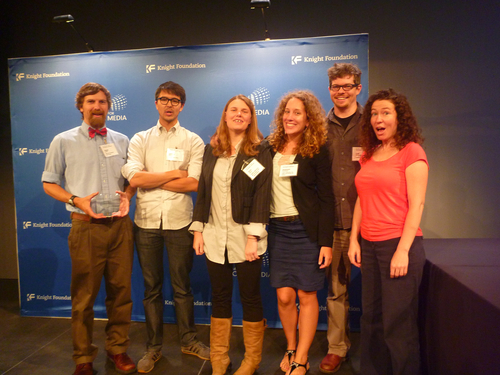 Riding the success of the DIY spectrometry Kickstarter, Public Lab fully launched the Kits Initiative in winter 2013. Recognizing that many people were interested in building the tools themselves, but not necessarily in sourcing the individual components, the Kits Initiative became a central place for people to purchase DIY science technology, while at the same time furthering Public Lab’s mission of providing accessible, low-cost tools. October: The IRS recognized our nonprofit standing (retroactive back to 2012). The air and water monitoring groups were established and have since grown into the Open Air and Open Water initiative. During 2013, Public Lab community members embarked on exciting projects that demonstrated the breadth of issues people were interested in. In Uganda, using aerial mapping, women facing eviction from a craft market near Kampala worked with María Lamadrid to combine community narratives with a high-resolution map of the area. The goal was to gain time so the community could organize next steps and create a dialogue around urban planning and displacement. The craft market was able to legally stall its eviction for a month by using the map to acquire a court injunction from local authorities. 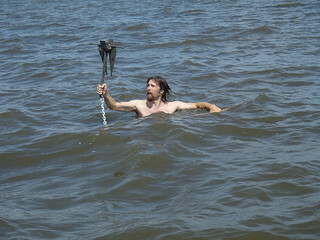 In Louisiana, work continued as Public Lab Organizer & Gulf Restoration Network (GRN) wetlands scientist Scott Eustis worked with Devin Martin of the Sierra Club to successfully capture low-altitude photos of ongoing sub-bituminous coal (the extra dirty kind) dumping in the Mississippi River. The images they secured of the coal pile over time changed GRN’s understanding of the extent of Oiltanking/United Bulk’s alleged environmental crimes and led to funding for further documentation and water quality analysis of this facility, culminating in a notice of intent to sue under the Clean Water Act. During a “Toolshed Raising” (a smaller, tool-focused Barnraising) at Parts & Crafts, a community partner in Somerville, MA, the Oil Testing Kit entered a new stage as participants helped to refine the “do-it-yourself” methodologies for identifying different oil contaminants ranging from motor oil to tar balls washed ashore after a crude oil spill. The tests were promising, and the technique appeared robust: showing similar fluorescence curves despite slight variations in sample preparation. Work on the Oil Testing Kit developed into a two-year project called “Homebrew Sensing,” taking place on the Gulf Coast. The Homebrew Sensing Project is focused on developing a set of low-cost hardware and free software tools community members can use to measure local environmental health data. To increase our capacity we welcomed two new staff members to the nonprofit, Stevie Lewis as Outreach Manager and Natalie Mayorga as Kits Manager. The Kits program, rapidly expanding at its own behest during 2013, got new legs in mid-2014. Goals were set to ensure sustainable growth, and an incubation model was developed to give community members access to assistance in producing and distributing DIY science kits of their own design. Community growth was exponential as new chapters in the Northwest, Midwest, and Chicago bloomed, and mailing lists for Public Lab Spanish and Portuguese speakers were established. To support the growth of these new chapters, Stevie Lewis launched OpenHour, a time for community members to connect in person or via live video chat. OpenHour is an interactive seminar hosted by the Public Lab Community, both online and in person. The topics of OpenHour are varied, including presentations on tools and methods, discussions on environmental issues, and approaches to data-based advocacy. Public Lab launched projects around sand frac mining in Wisconsin, ramped-up work with Open Water Fellow Don Blair, and started the Where We Breathe project (to be released in early 2015) around indoor air quality monitoring and mitigation in partnership with Public Lab Open Air Fellow Nick Shapiro. The first regional Spring Barnraising was held in Plymouth, Massachusetts to allow us in-person time together. Community members gathered to work on thermal fishing bobs, testing them out in the waters around the Plymouth Nuclear Power plant and then retiring for an evening of camping and continued brainstorming at Tidmarsh Farms. Image credit: Stevie Lewis. Washington University students build camera rigs. We welcomed a new member to the Public Lab team, Gretchen Gehrke, to lead our Data Advocacy Initiative, focusing on how community-collected data is used for action and supporting the efforts of Public Labbers and partners. During 2015, keep an eye out for several new “sprint fellowships” that will be offered during the second half of the year and more work on our lending library of tools. 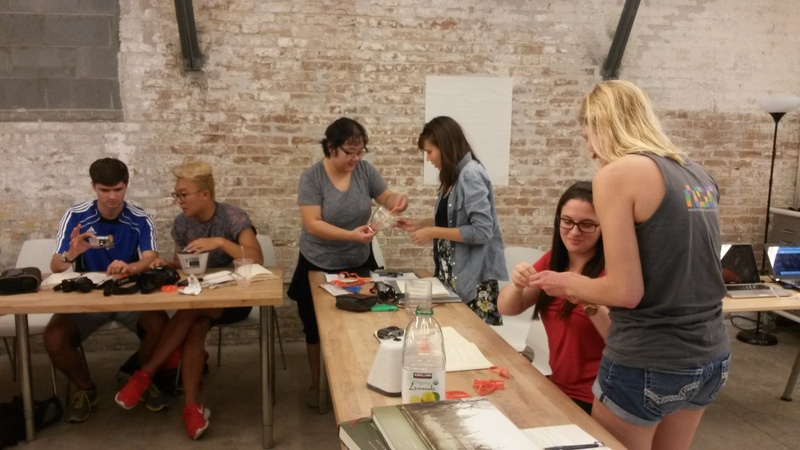 In June, Public Lab will be hosting the second regional Barnraising to support the growing community in Chicago. With over 22,000 kits distributed during the last five years and growth of the Public Lab community at nearly 6,000 members, it’s exciting to see where we’ll go from here!